Aaaaahhhhhhhhhh! We finally have it, a KitchenAid product to giveaway to Megann’s Kitchen devotees just in time to wrap up & put under the Christmas tree. Megann’s Kitchen has joined forces with Kitchenware Direct in order to bring you this fantastic prize of a KitchenAid Artisan Hand Mixer your personal choice of White, Pink or Black. Can you tell I am excited? No room in your tiny kitchen? 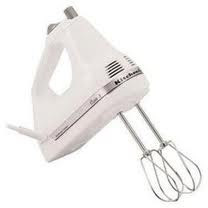 Always wanted a quality hand held mixer for Christmas Day preparations? Want to whip a cake together in seconds? This completion is FOR YOU! Welcome to another Megann’s Kitchen’s ultimate giveaway from my Easy Kitchen. Kitchenware Direct has kindly provided us with some products from Easy Kitchen’s featured post of the KitchenAid Artisan Rangehttp://www.kitchenwaredirect.com.au/search?q=KitchenAid. Click through Kitchenware Direct to find some great KitchenAid products on their web site at a fantastic price, plus read the Megann's Kitchen review here. The products that I offer as giveaways have been generously contributed by a participating company that meet strict Megann’s Kitchen criteria. These aren’t just any products, no no! These ultimate kitchen giveaway pieces are by brands that are currently used & loved in my kitchen. I simply want to pass on to you what I believe every kitchen should have. Like this competition? Don’t forget to sign up to join both Megann’s Kitchen blog site & Facebook page for more chances to WIN. Not to mention find out about future fantastic giveaways! See right of screen. 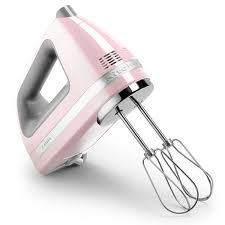 • There is one amazing chance to win: KitchenWare Direct has provided us with one KitchenAid Artisan KHM720 Hand mixer, colour of YOUR CHOICE (white, pink or black)! Thank you. • The competition commences 11:59pm A.E.D.S.T on Friday 9th November 2012. Entries close 11.59pm A.E.D.S.T on Wednesday 12th December, 2012 – just in time for Christmas postage to your door! • Good NEWS! You can enter as many times as you like through commenting on this post or the Megann’s Kitchen Facebook Page. • Each individual entry will be judged based on literary and creative merit, then placed into a draw of 10 finalists. The winning entry will be extracted from a draw of 10 finalists, based on chance. • Prizes are not transferable or exchangeable & cannot be taken as cash. • Winners will be announced on Megann’s Kitchen blog site & Facebook page. Keep on clicking in to see if you are a winner! • Due to the Australian power outlet compatibility, the competition is open to AUSTRALIAN RESIDENTS ONLY, sorry. Thank you for entering... & good luck! Please Note: this is not a paid endorsement – Megann’s Kitchen personally sources & only “promotes” products that are dearly loved, tried & tested over many uses in the kitchen. It’s all about pure joy & sharing my kitchen with you. the Kitchenaid Handmixer does well! life easier with carpal tunnel! Oh my... I have a good friend with carpel tunnel & feel for your hands. Good luck with the future & enjoy my "Easy Kitchen" for helpful tools to make kitchen life easier. A kitchenaid handmixer would be perfect! 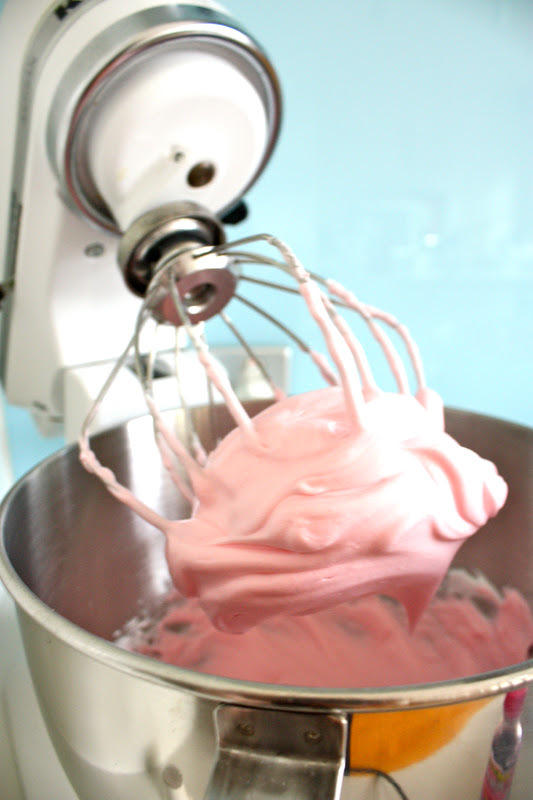 I have a stand mixer but not a handmixer for smaller everyday jobs, this is perfect. Love Kitchenaid. Totally know what you mean... a hand mixer (other than the one at the end of my arm) is always needed in the kitchen! Thanks for this excellent post I found your website perfect for my needs. It contains wonderful and helpful posts. I have read most of them and got a lot from them. Thank you so much Melinda!!! Just knowing that my recipes & helpful hints assist you in the kitchen in some way pleases me to no end. Read, Cook & Enjoy Megann's Kitchen. Yes I admit, I have made a few! Has had its day, its time to go. Not to mention it looks so pretty! And will be baking non stop, day and night! Very clever! A finalist entry in our top ten. WELL DONE! Whoops just re read and realised im over the word count! Not a worry Michelle, I purposefully made it "approximately" 25 words, as a guide. I hate entering competitions when you are only one or two words away from the perfect answer but stopped due to the strict word count! Good luck!!! The closest thing I have to a whisk is a hand-me-down that looks like https://encrypted-tbn0.gstatic.com/images?q=tbn:ANd9GcRhPkk12NtkxSq6e5yZmIyhGww6a-rhUEkF67qstGZjUwdznZJ20g i.e. useless for baking! A KitchenAid hand mixer would be such an upgrade! Both my KitchenAid Artisan Stand Mixer & Food Processor have kneading abilities, making great pizza dough & easter hot cross buns. Mmmmm.... KitchenAid is the BEST! Hot colour choices; cook with style! Using this would make me smile"
Another finalist entry, well done & keep entering the Megann's "Easy Kitchen" Competitions! that my tuck shop arms would be here to stay! Imagine the new surprises to my thighs!! I love your clever entry - you were another finalist in our top ten! Well done! Oh dear am I to late!? Nope... as I was ill, I had to delay the draw. Your entry was still considered! I'm using my Mother's ancient 25 year old Kenwood! - Megann if I win this, everytime the smell of baked goods will waft through our home, you will be in my heart! You know what - I have watch Maggie Beer on "The Cook & The Chef" & she has the oldest & most beautiful food processor that I have ever seen. The plastic has turned opaque from the years of use in the kitchen, cooking for those she loves. Treasure your Kenwood, they don't make the like they used to... and to think all the cakes it has made! WOW! Good luck! Hey Rosemike, this particular post was a Competition, not a review, for a KitchenAid Artisan Hand Mixer, which has now closed. 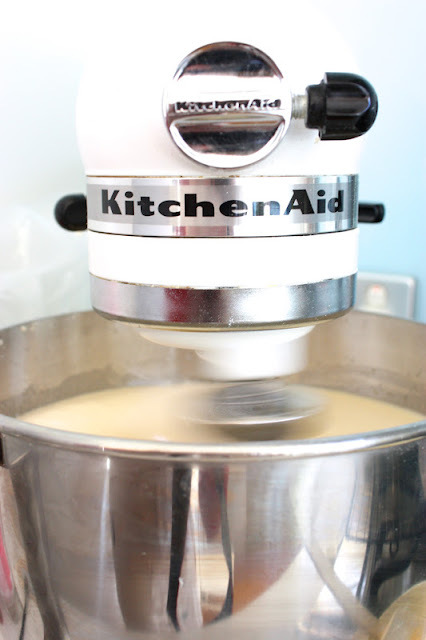 I love my KitchenAid Artisan Stand Mixer, which I have written about in the previous post. Again, it is not a technical review, just some points which I like to highlight from my personal use. If there is anything I can help you with or a particular question you may have, please feel free to email megannskitchen@gmail.com ... have a great day! MK.